Chase graduated from California University of Pennsylvania (CalU) with a Bachelor's in Accounting and a minor in Finance and Leadership in 2010. During this time he was very involved with the Admissions office, where he served as a student worker, helping students and parents understand the admissions process of the University. After completing his undergraduate work, he obtained his Master's in Business Administration (MBA) in 2012, also from CalU. While working toward his MBA, Chase served as a Graduate Assistant in the Office of Alumni Relations. His primary focus at the time was to educate prospective students on the CalU for Life moto, discussing the life-long value one would gain if he/she choose the institution. 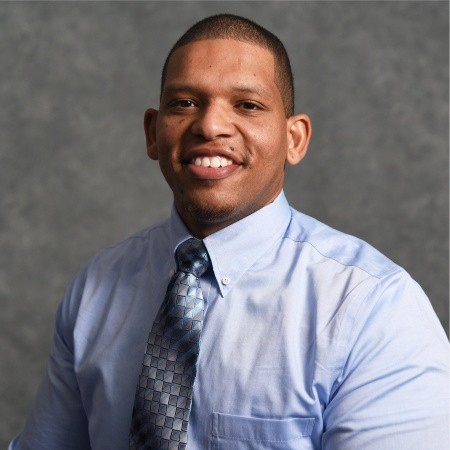 Arriving to Duquesne in 2012, Chase started his career in the Division of Management and Business as an intern as part of the Minority Internship Program. As an intern, Chase was able to advance his knowledge regarding the ins and outs of what goes into running a University from a finance perspective. As a participant in the program, he rotated throughout different departments within the division. Chase has been recognized within his Division as a recipient of the Isadore R. Lenglet Excellent Service Award for his service to the University. He has also served a term on the University's Budget Committee. Currently he serves on the Advisory Board for the SHYNE Awards Foundation - a foundation looking to recognize the students between the ages 13-19 doing well both academically and in the community, while also providing resources to help their success continue shine. Check out the incredible speaker line-up to see who will be joining Chase Loper.